Late Sept. 30, 2018, the United States, Mexico, and Canada agreed to a new trade deal between the three countries. The new deal, the United States-Mexico-Canada Agreement (USMCA) would, if approved by all three countries, replace the North American Free Trade Agreement (NAFTA). While the trade deal may be changing, the provisions that provide for the temporary entry of professionals to work in the U.S., currently known as the TN (Trade NAFTA) visa category, will remain the same as they were in NAFTA. 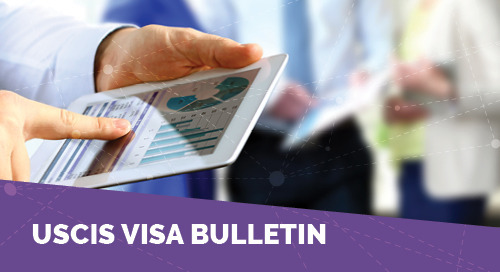 In the months prior to the new trade deal, there was uncertainty regarding whether provisions allowing for the continuation of the TN visa would be included in any new trade deal between the three North American countries. Originally, the Trump administration indicated interest in placing limits on TN visas, while Mexico and Canada indicated interest in revising some of the professional worker categories to be updated to reflect current employment practices, as the categories had not been revised since NAFTA was enacted in the early 1990s. With the USCMA, the three countries kept the status quo, neither agreeing to any new limits, nor expanding or revising the approved TN professional worker categories. ENVOY will continue to monitor developments regarding the TN visa and the new USMCA trade agreement, as the agreement moves through the approval process in Congress and in Mexico and Canada. To view the official text regarding the TN visa, please click here. The TN visa classification is for Canadian and Mexican citizens. It was originally created as part of NAFTA and provides for the temporary entry of professionals to work in a specific set of professional occupations. Obtaining a TN visa is generally expeditious, as Canadian citizens can apply for admission in TN status directly at a US port of entry, and Mexican citizens can apply for a TN visa directly at a US embassy or consulate, without having to obtain approval of a petition by U.S. Citizenship and Immigration Services first. Click here to learn more about the TN visa. Envoy is pleased to provide you this information, which was prepared in collaboration with attorney Scott Kuhagen at Global Immigration Associates, P.C. (www.giafirm.com), Envoy’s affiliated law firm.